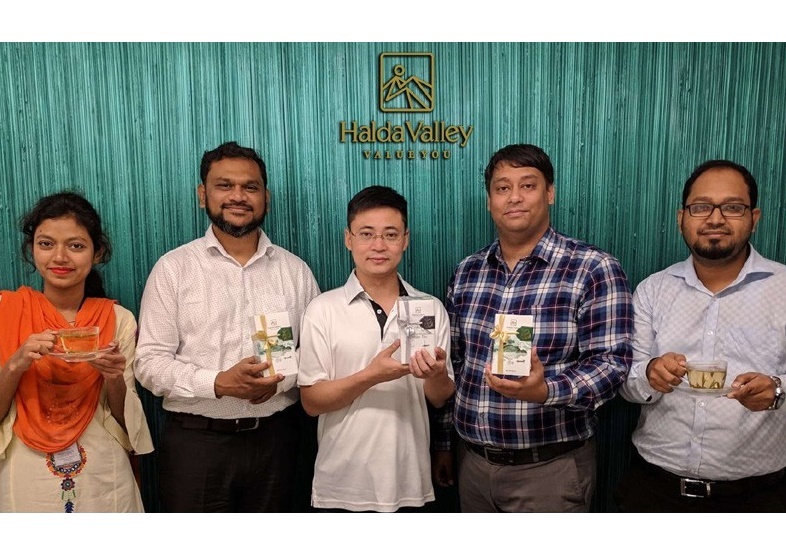 Halda Valley has launched flush teas for the tea enthusiasts in Bangladesh, a press release said. Two types of first flush teas – Dragonwell green tea and Silver Needle green tea will be available in the local market from March 21 to April 30. This was revealed at an inaugural programme of the first flush tea in the capital on Monday. China’s tea expert Lu Xiang, managing director of Halda Valley Food and Beverage Shamim Khan, Head of Business Development Ashik Pasha and Brand Manager Azmain Rahman, among others, were present at the event. The first flush teas of the Halda Valley will be available at all major supermarkets and e-commerce sites.